All the software from Contaware.com are Donationware, it is requested to donate $10 USD per installation to cover the costs of software development. We provide completely FREE FROM ADS software and web site. Note: it's not necessary to have a Paypal account to donate, after clicking on the above button choose to "Donate with a Debit or Credit Card". Legal notice: by making a donation to the Contaware.com projects you signify that you acknowledged, understood, accepted, and agreed to the terms and conditions contained in this notice. 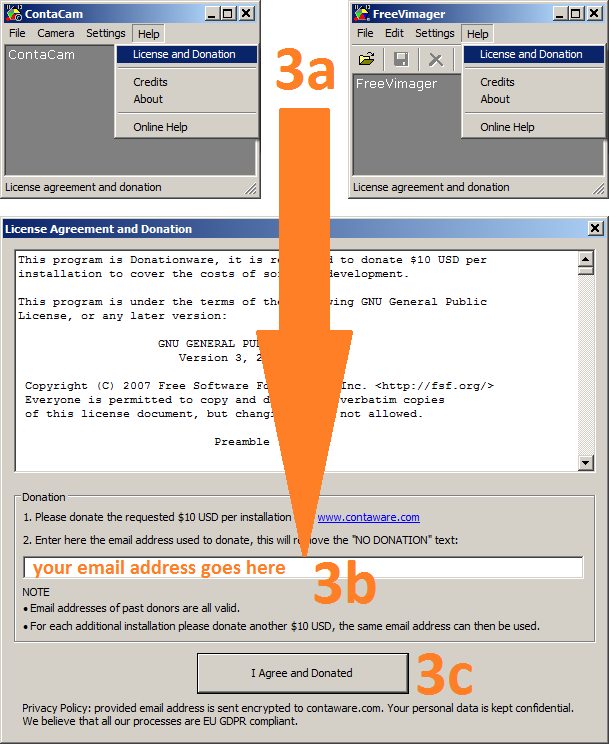 Your donation to the Contaware.com projects is to cover the costs of software development and web site maintenance and is not a fee for any services, goods, or advantages, and making a donation to the Contaware.com projects does not entitle you to any services, goods, or advantages. We have the right to use the money you donate to the Contaware.com projects in any lawful way and for any lawful purpose we see fit and we are not obligated to disclose the way and purpose to any party unless required by applicable law. Contaware.com projects do not have any tax exempt status (Contaware.com is neither a registered non-profit corporation nor a registered charity in any country). Your donation may or may not be tax-deductible; please consult this with your tax advisor. We will not publish/disclose your name and email address without your consent, unless required by applicable law. Your donation is non-refundable.